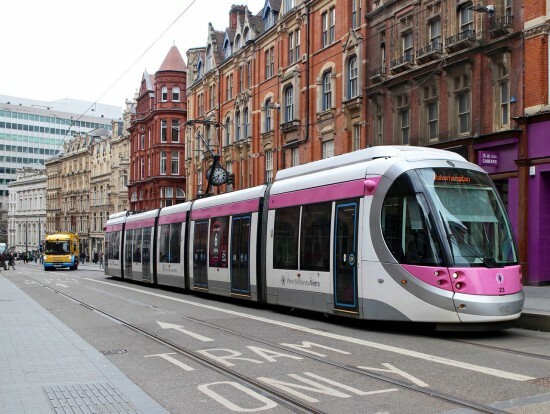 There are now nine West Midlands Metro Urbos 3 trams available for passenger service with batteries fitted with the latest, 23, being used in revenue earning service on Friday 12th April – although the tram was then noted out of service the following day. 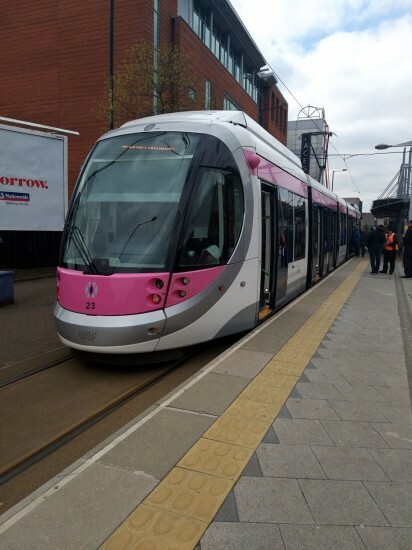 23 had been fitted with the batteries in recent weeks and after a period of testing and commissioning it was passed over to the operational fleet with its first use being on Friday 12th April. However, there was a loud noise emanating from the bogies which saw the tram then stabled outside the depot the following day possibly awaiting further attention before being returned to service once more. Meanwhile, other workshop attention has been concentrated on 33. You may remember that this was the tram involved in a major dewirement – bringing the overhead down in the process – on 5th March and after repairs 33 is now just awaiting the refitting of a pantograph before it too can return to service. 33 remains battery free.